The graphics card or GPU is either the second or the third most important element to CADing, no matter what your experience or nature of the job. The GPU aids the processor by taking over the visual components freeing the CPU for its own workload. Nowadays, GPUs (Graphical Processing Unit, or just graphics cards) are mainly distinguished as CAD or gaming graphics cards, we’ll talk about CAD-specific cards in this article. How do CAD Graphics Card differ from Gaming Cards? The Quadro family is the hallmark of NVIDIA's GPU collection, ranging from 2GB to 12GB. As far as the distinction goes, a gaming GPU will be engineered towards a faster FPS whereas the CAD card will focus on high levels of precision when drawing vector lines and shapes. In games, shapes are polygons with fewer edges, while many textures and other resources are predefined. Once the render is complete, the actual change in scene that you see when you change your direction is already precompiled and set up ready for viewing. 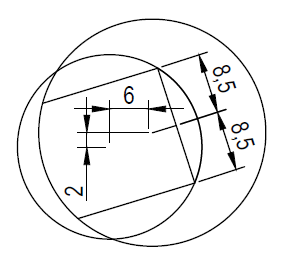 CAD applications on the other hand are a completely different story, not just because of the fact that you see as you build, but the mathematical calculations (shape geometry) themselves are a burden, displaying them with flawless zoom and span options is another thing altogether. Let’s take a deeper look at what’s the difference. CAD cards are specifically designed for a quick renders with a high level of reliability and a customized view in accordance with the application in question. This is because the hardware pipelines are designed for graphics engines and need to communicate larger datasets with optimized shading and raster techniques embedded for CAD-specific optimization. With gaming GPUs, the same spec card will hold fewer memory (as compared to a CAD GPU) because the game doesn’t need to render anything, nor does it need to extend and calculate complex geometry for every drawn vector-line when the view changes. From here on, the core hardware and the similarities end. 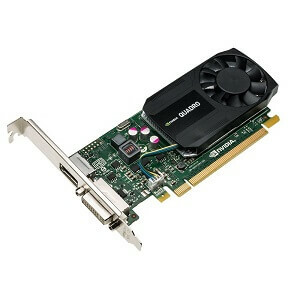 From here on, the difference is software and firmware based, as the drivers developed for CAD GPUs are developed by the card manufacturer in accordance to the applications demands. For professional projects, and large companies, it is common to find a specific driver being used for a CAD GPU hand-picked from amongst a list of possibilities. Also, many vendors work closely with the most powerful application developers for better harnessing the power of a CAD GPU. Because of this application-focused fine-tuning the CAD GPU is squeezed for every last drop of juice, with some tweaks and hacks specifically meant to empower the more common tasks on the account of the less used. 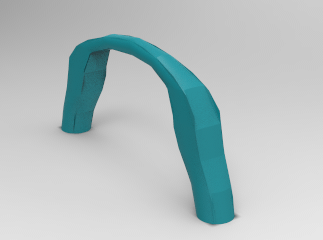 The common-paths (different in design and function for gaming and CAD) are streamlined and made more accessible for CAD applications. But it should be kept in mind that a CAD GPU, no matter how powerful, will not produce the best result for games and vice versa. How to select a CAD Graphics Card for my system? Rule of thumb is to let your primary application decide. That is the lowest level of customization possible and while the applications website will list a “System Requirements” section, that will also be just the start. The requirements section almost always lists down the necessary and the recommended hardware, the monumental difference between them is self-evident of what you need to get the most out of your ensemble. Also, your workstation monitor will be a good factor to take in to account. Are you using multiple and if so what are the possible connectivity options? 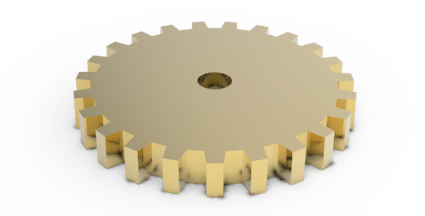 On a last note, the software’s design can also be a good guide to what your CAD workstation should be like, for instance a multi-threaded program will benefit from multiple cores, and there aren’t many of those around. Most of the information will relate to RAM and CPU related content but sometimes the software developers list certain models of graphics card as preferable hardware. The software is often optimized for these cards and the FAQ almost always has a solution to first time troubles and kinks. First, we take a look at one card favored by many software developers and CAD users already. The FAQ almost always lists something about it and someone in every part of the world is using it. The K620 is a 128bit bus 2GB DDR3 card. It tops at 29GBps with 384 parallel cores patented as NVIDIA CUDA. Power consumption at its highest is 45W and a heat sink sits well over the main processor. The maximum resolution is 3840 by 2160 at 60Hz with 2 outputs and support for a maximum of 4. It has a 3 year warranty by the manufacturer and connects through a PCI Express 2.0 16-pin interface. This entry level (affordable) card will accommodate every beginner to the average hobbyist with ease. The NVIDIA Quadro series focuses on CAD/CAM specific hardware and hence offer fine-tuned functionality for more than 200 CAD/CAM applications from the manufacturing, modeling and energy industry amongst others. Next up, is the K1200. With 4GB GDDR5 memory, 512 cores pump at 80GBps. The 128-bit channel goes out to a PCI Express 2.0 16 pin connector. 4 monitors can be hooked up at the same time, with multi-streaming capability. 4K resolution and its built-in heat kit work at 120W and are ideal for semi-pro to pro users. Its maximum FLOPS were 1.1TFLOPS and because of its form factor, SFF (Small Form Factor) computer owners will be very happy to get a better options for SFF casings after the previously only-option-available i.e. K620. This card will take what any mid-range project/user has to throw at it with ease. Moving on, last up for review is the AMD FirePro W4100 with 2GB of memory. 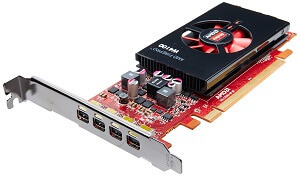 For semi-professional CAD/CAM users and other mid-range users/jobs the GDDR5 card has a 128bit interface with 72GBps bandwidth plugged in via the standard PCI Express 3.0. It has its own thermal kit installed atop the actual board with 50W of maximum power usage. 4 DVI display ports allow multiple monitors with multi-stream capability. Maximum performance settings yield 4K of display resolution with 4096*2160. With OpenGL, ShaderModel and DirectX support enabled for the 512 parallel processor cores, this GPU is for the mid-range and slightly above projects/users. 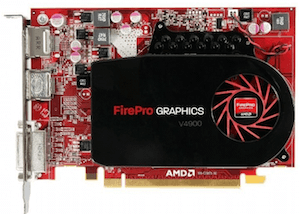 Typical Specifications: AMD FirePro W4100 Chipset 2GB GDDR5 Memory 512 Shader Units GPU For semi-professional CAD/CAM users and other mid-range users/jobs. The GDDR5 card has a 128bit interface with 72GBps bandwidth plugged in via the standard PCI Express 3.0. Typical Specifications: DisplayPort 1.2 connector VGA support DVI-I dual-link connector This is the entry level (affordable) card that will accommodate every beginner to the average hobbyist with ease. 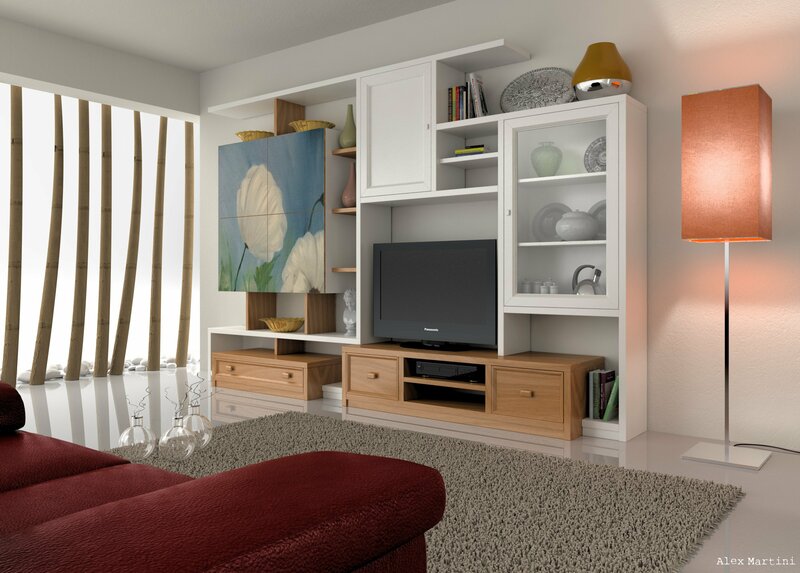 Typical Specifications: 4GB GDDR5 GPU memory Supports AutoCAD and SOLIDWORKS advanced photorealistic rendering Superior CAD graphics performance 4K resolution and its built-in heat kit work at 120. Ideal for semi-pro to pro users. This card will take what any mid-range project/user has to throw at it with ease. The K1200 is for beginners and intermediate stages. 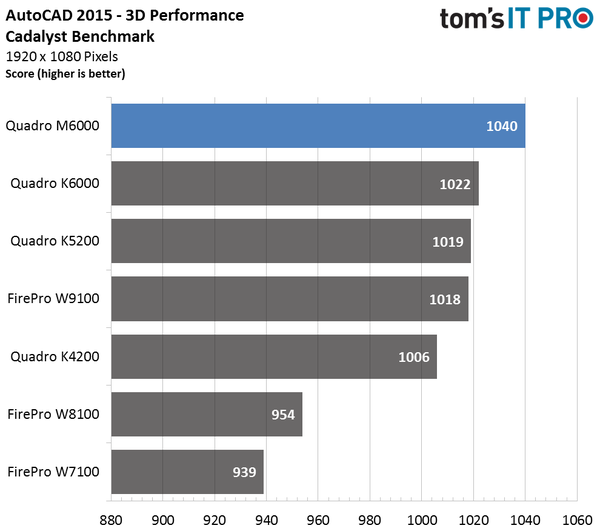 But in my opinion that is the best graphics card for CAD of the three products reviewed. 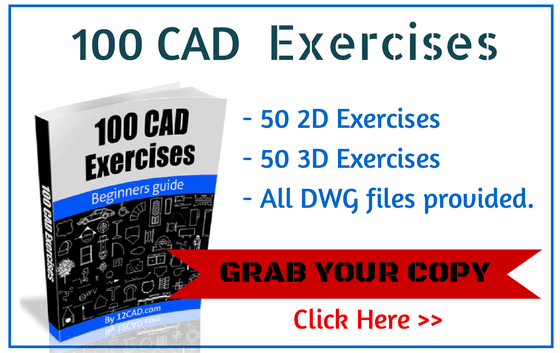 It’s cheaper but will work handsomely with mid-sized AutoCAD projects and below. Also, small-form factor computer owners have a new option to choose from but the fact that it belongs to a family designed specifically for the CAD/CAM industry (not to mention the community/support availability) is the major winning criterion.